Start Bidding Now !!! AUCTION Is On !!! Real Estate Sold through Coldwell Banker KING THOMPSON and closes through Amerititle Downtown Title Co.
contingencies $1.00 (One Dollar) starting bid. both parties agree in writing to extend. to establish the Sold Contract price. Deposit to be wired to Coldwell Banker KING THOMPSON immediatly following auction. These Bidder Terms and Conditions apply to the Auction for the sale of real estate at 2912 Woodland Av. Columbus, OH 43224, conducted by Schillig Auctions with Coldwell Banker King Thompson (Broker) 175 S Third St. Columbus, OH 43215 (“Auctioneer”), and constitute a legal, valid, binding, and enforceable contract between Auctioneer and each Participant, Bidder, Buyer and attendee at the Auction. 1. License. Cynthia Schillig 2008000073 is a Auctioneer licensed by the Ohio Dept. Of Agriculture, 8995 E Main St. Bldg 1, Reynoldsburg, OH 43068 and member of the state Auction Recovery Fund. Real Estate License issued by the state of Ohio Dept. of Commerce 2008001253. 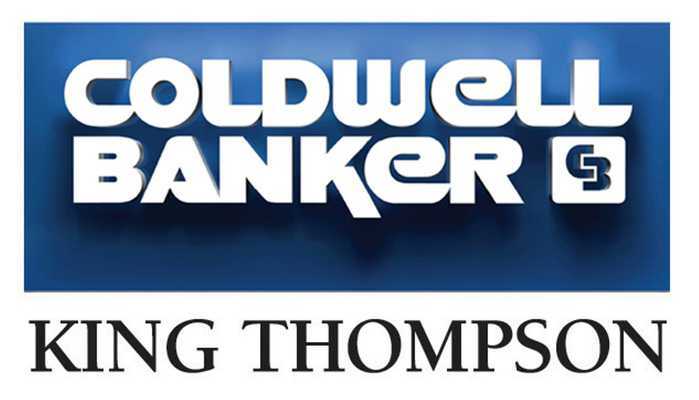 Broker of record Coldwell Banker KING THOMPSON. "Buyer's Premium" is an amount, calculated as a percentage of the Hammer Price, that is payable by the buyer to Auctioneer for Auctioneer's own account. The Buyer’s Premium for the Auction will be ten percent (10%) of the Hammer Price or $3500.00 (three thousand five hundred dollars) whichever greater. “Deposit” means the non refundable money that the Buyer must pay to Auctioneer on confirmation of the Winning Bid. The Deposit will be in an amount equal to ten percent (10%) of high bid or $3500.00 (three thousand five hundred dollars) which ever greater. “Purchase Price” means an amount equal to the Hammer Price plus the Buyer’s Premium as described being 10% of high bid or $3500.00 (three thousand five hundred dollars) whichever greater. Each Registered Bidder must deliver a good faith Registration Deposit to Auctioneer in certified funds. 5. Buyer's Premium. The Property is offered subject to a 10% Buyer Premium of high bid or $3500 (three thousand five hundred dollars) whichever greater, which will be paid by the Buyer to Auctioneer/Coldwell Banker King Thompson Trust. The Buyer's Premium will be added to the Hammer Price to determine the final Purchase Price of the Property. 7. Bidder Registration: Registration Deposit. All persons desiring to bid at the Auction, must register to bid and be issued a Bidder Number. In order to register to bid, each potential Bidder must provide such information (including identifying information and qualifications) as requested by Auctioneer. For purposes of this auction, a Registered Bidder will not be required deliver a good faith Registration Deposit of to Auctioneer in certified funds via Cashier's Check or Wire Transfer prior to bidding. The Registration Deposit of the Bidder who has made the Winning Bid, and who is, thus, determined to be the Buyer, will be applied against the Buyer’s obligations under these Bidder Terms and Conditions and the Realty Purchase and Sale Agreement The winning bidder's deposit is non-refundable. The Registration Deposits of those Registered Bidders who have not made the Winning Bid will be returned to them by Auctioneer/Coldwell Banker King Thompson. 8. This auction of 2912 Woodland Columbus, OH 43224 is being offered to the highest bid over $1.00 (one dollar). If a Property is Offered with a Reserve and/or Subject to Seller’s Confirmation the Property is offered such any bid may be rejected, and the Property may be withdrawn by Auctioneer, at any time before the Fall of the Hammer. Once the high bid has been acknowledged by Auctioneer with no further advancement, the hammer will fall on such bid for the purpose of identifying it as the high bid. The high Bidder must, then, execute the Realty Purchase and Sale Agreement and deliver the Deposit to Auctioneer. 14. Bid Increments and Timing. Bid increments are established and controlled by Auctioneer, and may be adjusted or modified in Auctioneer’s sole and absolute discretion. A five minute (5) auto extend after each bid is in place. 15. (b) Brokers representing a Bidder must submit a Broker Registration with Agency by 12 (noon) EST 24hr. prior to Auction by EMAIL: CindiSchillig@gmail.com. Bidder must not have had any contact with Auctioneer or Coldwell Banker KING THOMPSON prior to auction. Broker/Agent must always be present at all times including Open House events to qualify for 2.5% Co-Op of Hammer Price. 23. Realty Purchase, Sale Agreements and all pertinent documents to be electronically signed via Dot Loop immediately following auction. The Bidder making the high bid at the Auction will sign the Realty Purchase and Sale Agreement, with no other conditions or contingencies except the delivery of good and marketable title by Seller. The Realty Purchase and Sale Agreement is available for review prior to the Property being offered, and is incorporated in and made a part of these Bidder terms and Conditions. 24. Deposit. The Winning Bidder will make a Deposit in an amount equal to ten percent (10%) of the high bid or $3500.00 (three thousand five hundred dollars) whichever greater. The Deposit may be paid, via Wire Transfer, in cash or its equivalent, by certified funds, or by credit card (if service made available by Auctioneer). For the purposes of the 2912 Woodland 43224 Auction Wire Transfer to Coldwell Banker KING THOMPSON trust account is required. This deposit is non-refundable except in the case of title. Bidder not required to post a registration deposit in the amount of _____NA_______ in the form of a bank cashier's check or cash in order to register to bid Onsite at the Auction. I agree, as the highest bidder to endorse said $__NA________ check to Escrow Holder Coldwell Banker King Thompson  after completion of the Auction and to provide a second personal check for the balance due required Deposit immediately following the Auction. The final contract is subject to Seller’s confirmation and acceptance. On a case-by-case basis, Auctioneer may accept bidders to participate in the auction if all requirements set forth herein are not satisfied. I understand that a 10% of high bid or $3500.00 (three thousand five hundred dollars) whichever greater will determine the Buyer’s Premium that will be added to the highest accepted bid to reflect the Total Contract and Purchase Price. I also understand that the Buyer's Premium is an amount calculated as a percentage of the Hammer Price, that is payable by the Buyer to the Auctioneer through Coldwell Banker KING THOMPSON Trust account for the Auctioneer's own account. I understand that, if I am the winning accepted Bidder, I shall close and complete settlement on the Property on or before May 4, 2018. I, as Buyer, know and understand that I will be responsible for all related closing costs. I have been advised of Amerititle Downtown online calculator www.AmerititleDowntown.net If I default and do not complete settlement I hereby acknowledge that I have read and understand the Default paragraph of both the "Terms and Conditions" package and the Purchase Agreement; and acknowledge that my full deposit shall be forfeited to the Auctioneer, and that I will be liable for any and all other damages and expenses in relisting or selling the Property, along with the amount of any shortfall at a subsequent sale. By registering with Schillig Real Estate and Auctions and offering a bid, I certify that I have thoroughly read and understand the above pages of statements and understand that by signing below I accept and agree to all of the terms set forth herein.